Running Tally: $120.00 to charity. (The picture doesn’t do it justice.) This one was supposed to have been my 40th birthday present. 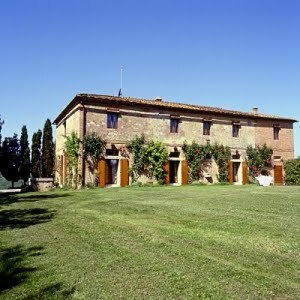 We have been lucky in the past to spend a couple of weeks at a time at a wonderful house in Tuscany. The place is absolutely amazing. Not being millionaires, however, the way to rent this seven bedroom house for two weeks at a pop is to find friends and family who are interested in renting a room. Well, the house was reserved, the plans taking shape, but then the economy started to make several participants jittery so we ended up having to cancel it. Oh well. As a consolation prize we are taking trip to France and Switzerland instead of renting the house. Should be a lot of fun, but it won’t be the same thing as the house in Italy.